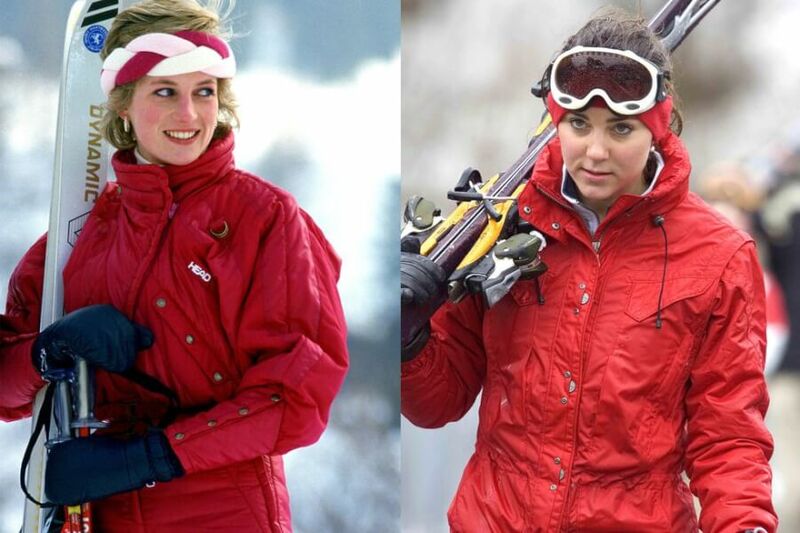 You’ll be surprised to know how many times Kate Middleton and Meghan Markle repeated Princess Diana’s outfits and we didn’t notice it! 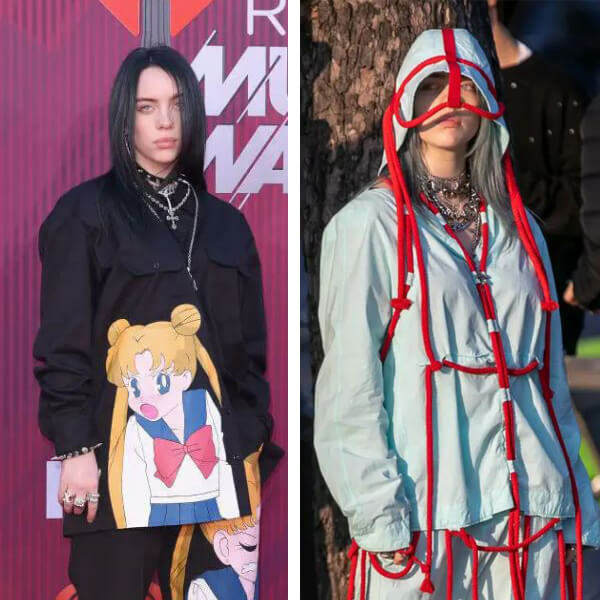 Nexter.org gathered only some of the ‘borrowed’ looks and they all are amazing. 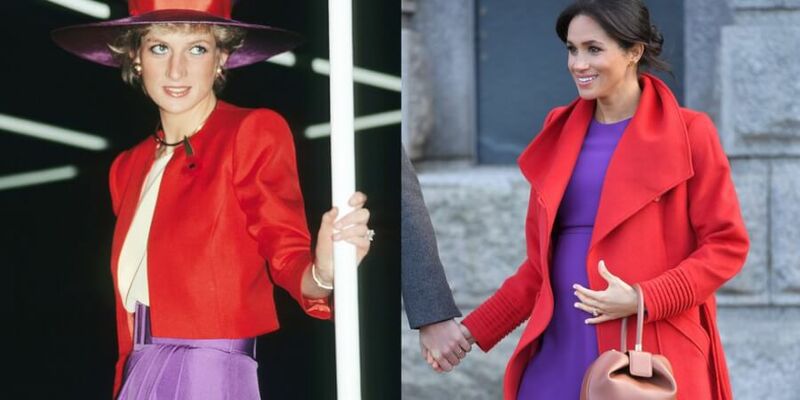 During a visit to Hong Kong in November 1989, Diana paired red and purple in a vibrant ensemble. 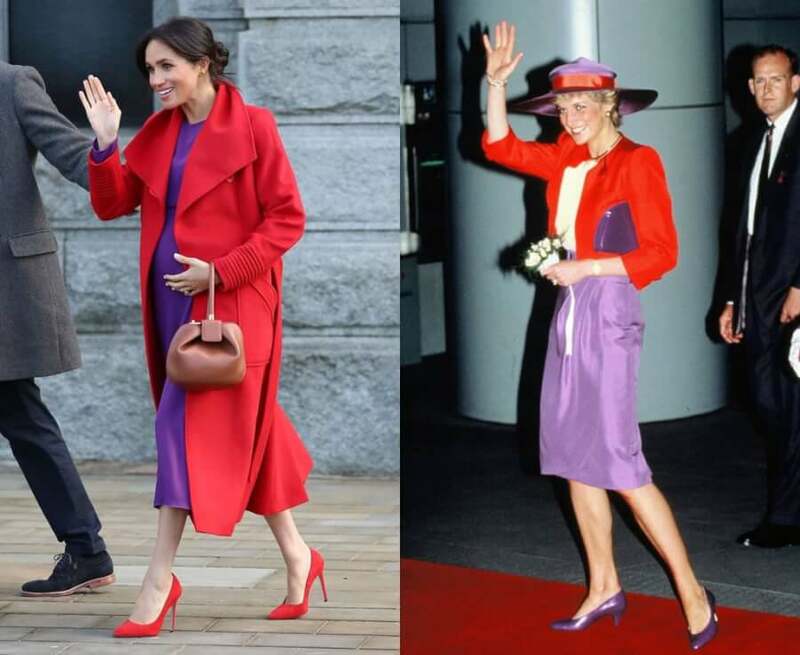 Meghan worked with a similar color palette while on a visit to Birkenhead in January of 2019. 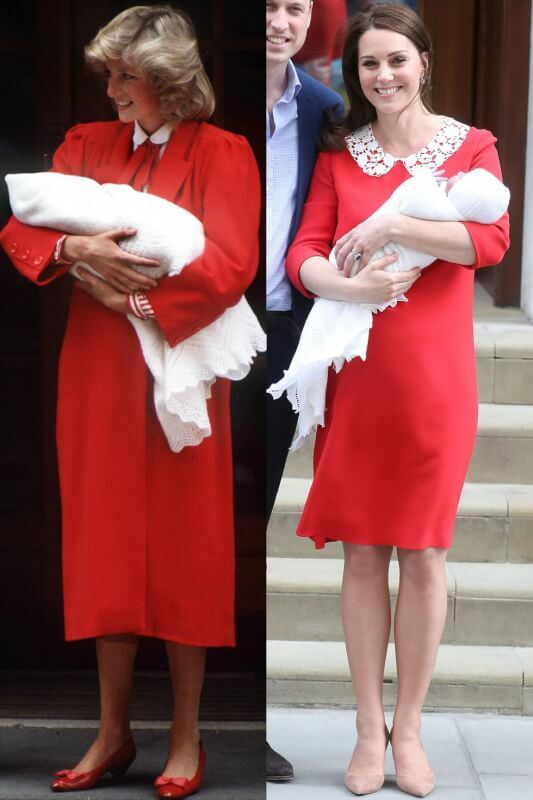 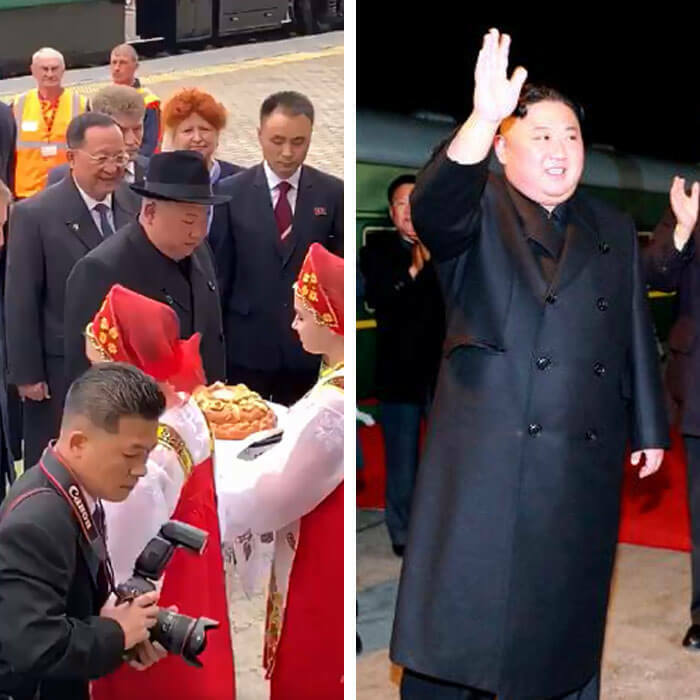 Princess Diana leaving St. Mary’s Hospital with newborn Prince Harry in 1984 wearing a red collared dress and coat; Duchess Kate leaving the same hospital in 2018 with newborn son Prince Louis wearing a red dress with a white lace collar. 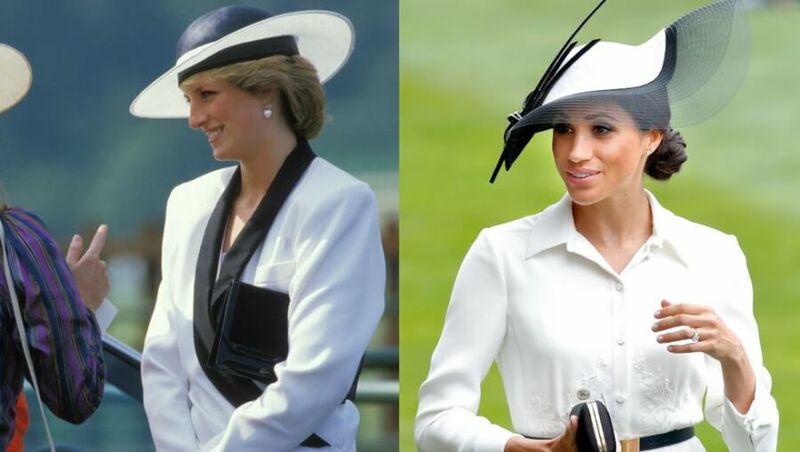 Both Diana and Meghan looked proper in black-and-white ensembles at Royal Ascot. 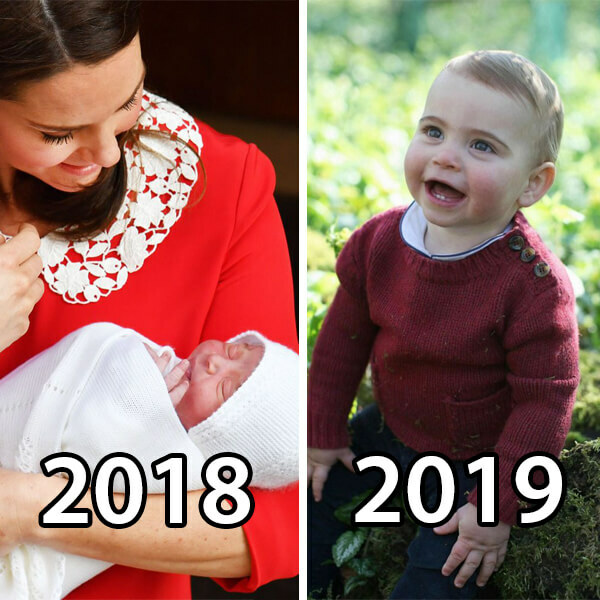 Meghan chose to wear Givenchy, the same designer she wore on her wedding day, for her first time at the race. 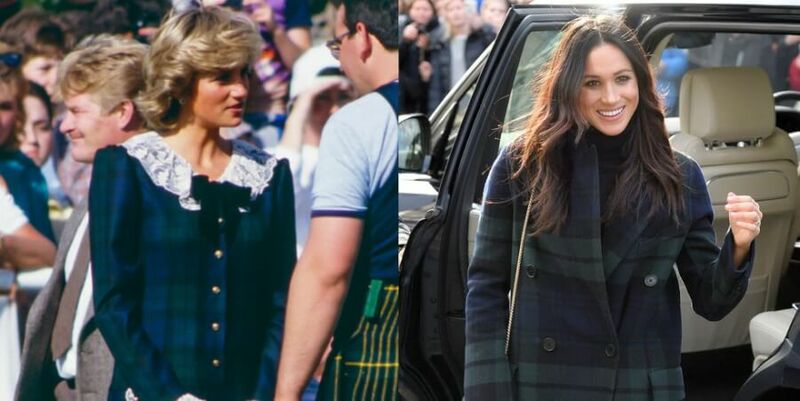 In 1987, Princess Diana wore a plaid dress with a lace collar while at the Bute Highland Games in Scotland. 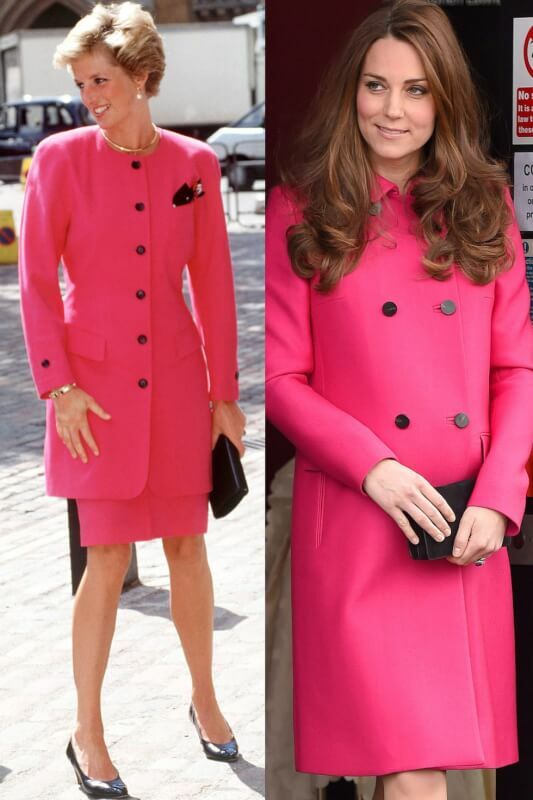 Meghan chose a similarly patterned Burberry coat for an official visit to Scotland with Prince Harry during their engagement. 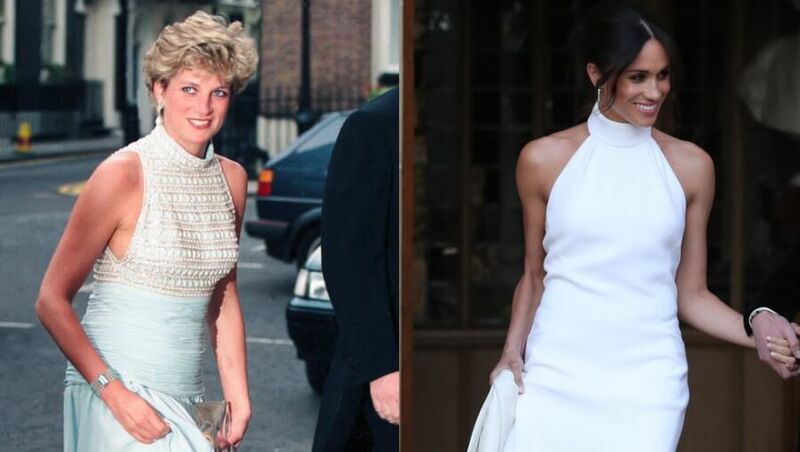 Princess Diana wore her high-necked evening gown to attend a reception at Spencer House in London, while Meghan chose the style as her second dress on her wedding day. 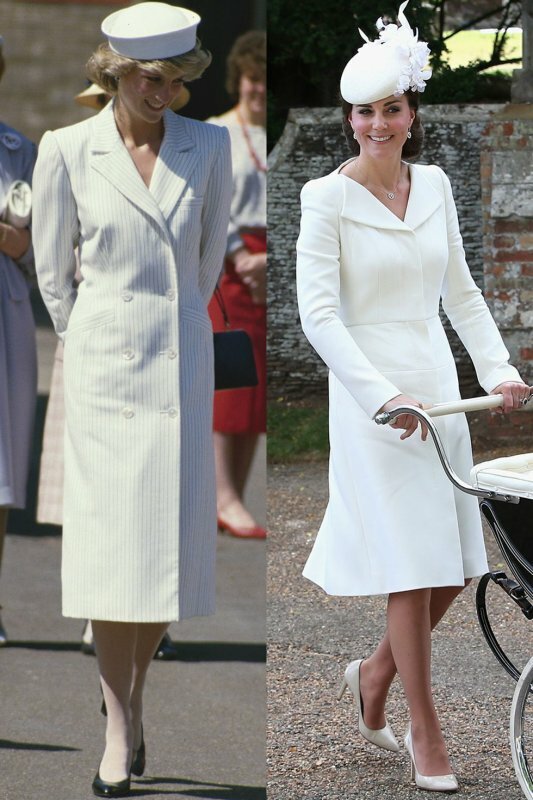 Diana in Catherine Walker on a visit to the Isle of Wight in May 1985; Kate in Alexander McQueen at Princess Charlotte’s christening in July 2015. 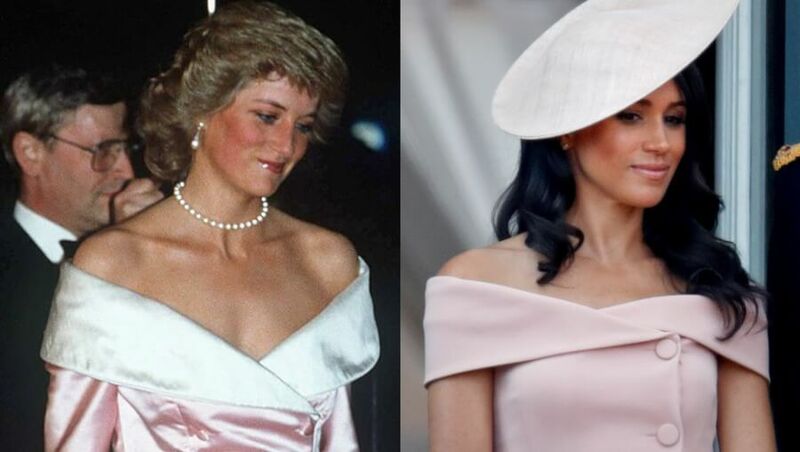 The blush pink Carolina Herrera dress that Meghan wore to Trooping the Colour immediately reminded us of Diana’s off-the-shoulder look for a night out at the Royal Ballet in Germany in 1987. 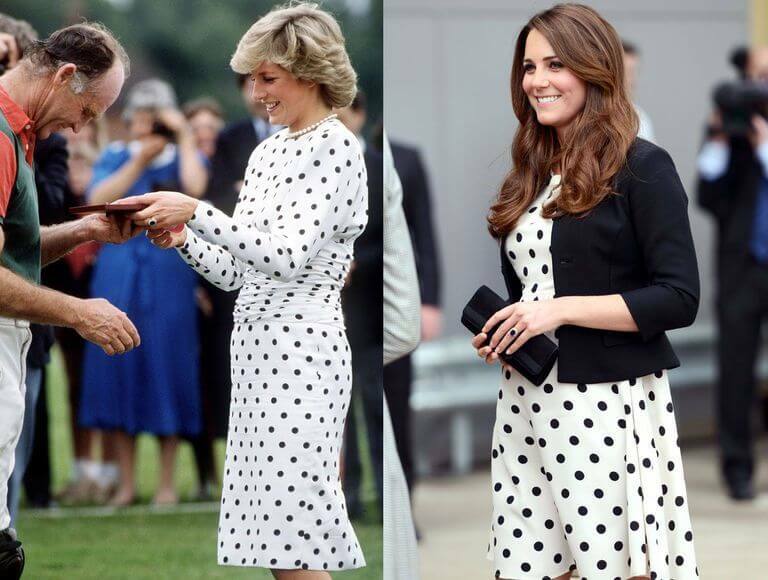 Diana, in Victor Edelstein, awards a prize to Prince Charles’ polo manager in 1987; Kate visits the Warner Bros. Studio Tour London in 2013. 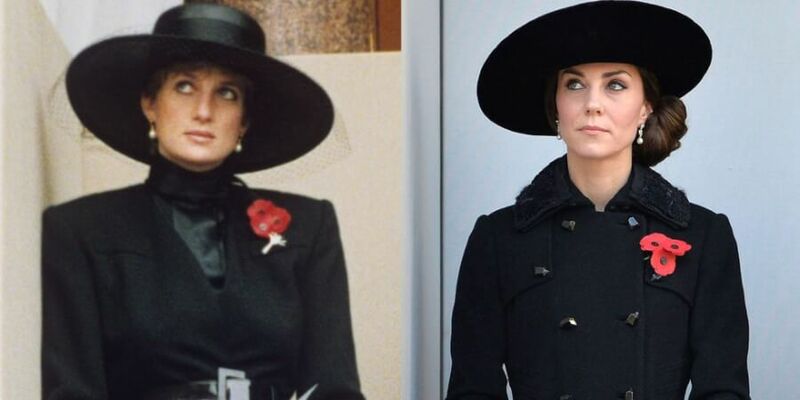 You'll be surprised to know how many times Kate Middleton and Meghan Markle repeated Princess Diana's outfits and we didn't notice it! Nexter.org gathered only some of the 'borrowed' looks and they all are amazing.